For power, luxury, and more, turn to the new Jeep Grand Cherokee for sale at Old Saybrook Chrysler Dodge Jeep RAM. With eight trims from which to choose, two high-performing engines, and various sophisticated elements throughout the cabin, this SUV does it all – and appeals to a wide range of Niantic drivers. Once you’re ready to take on the Middletown roads in a new Jeep Grand Cherokee, contact us! With the new Jeep Grand Cherokee, you can take your pick between two powerful engines. The first option is a standard 6.4L HEMI SRT V8 engine which comes mated to an eight-speed automatic transmission boasting seven drive modes to generate 475 hp and 470 lb-ft of torque. It manages to achieve a 7,200-pounds towing capacity! Alternatively, you can choose the supercharged 6.2L HEMI V8 engine that muscles out 707 hp and 645 lb-ft of torque. Enjoy luxuries like Laguna leather upholstery, heated and ventilated seating, open pore wood interior inlays, and ambient lighting, as well, for an all-around enjoyable driving experience. 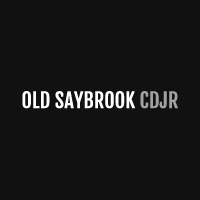 Compare the Jeep Grand Cherokee vs. Jeep Cherokee to learn more, and to get the full experience, stop by Old Saybrook Chrysler Dodge Jeep RAM to see it for yourself.